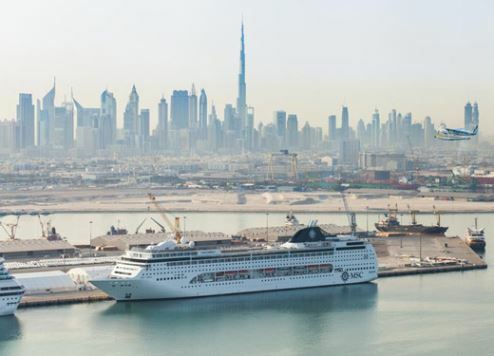 Dubai is targeting one million cruise passengers by 2020, according to Sultan Ahmed bin Sulayem, chairman and CEO of DP World and chairman of Ports, Customs and Free Zone Corporation. Current expansion underway at Dubai’s Mina Rashid, the number one cruise terminal in the MENA region in terms of traffic and infrastructure, will facilitate the growth, Bin Sulayem said in a statement. Cruise tourism in Dubai has been growing rapidly over the past 15 years. During the 2001 to 2002 season, just seven cruise vessels carrying 5,626 passengers visited. This has increased to 134 ships and more than 500,000 passengers in the current 2015-2016 season. The trend is set to continue in the 2016-2017 season, said Bin Sulayem, with 155 cruise vessel calls and 650,000 passengers, according to pre-bookings. "To ensure the facility reaches its optimal capacity and to further facilitate passengers' access to the terminals, more berths are being allocated, existing terminals are being linked via a high-tech tubes system and an additional terminal is being built," Bin Sulayem explained. "We are committed to investing in the transformation of Mina Rashid into the cruise destination of choice for cruise liners. We aim to increase the number of cruise ships calling Dubai Cruise Terminals in order to meet our target of one million cruise passengers a year by 2020." He also revealed plans to build a marina for luxury yachts at Mina Rashid, in response to the high demand worldwide for luxury yachts berths. The on-going Mina Rashid development project will strengthen Dubai's position as a global city and the premier cruise hub in the world, he added.